More people moving to Our Colorado means more are going to need cell service. That means more giant towers in and above our neighborhoods. For one Fort Collins community, they didn't know one was going up until the construction crews arrived. FORT COLLINS, Colo. -- More people moving to Our Colorado means more are going to need cell service. That means more giant towers in and above our neighborhoods. For one Fort Collins community, they didn't know one was going up until the construction crews arrived. 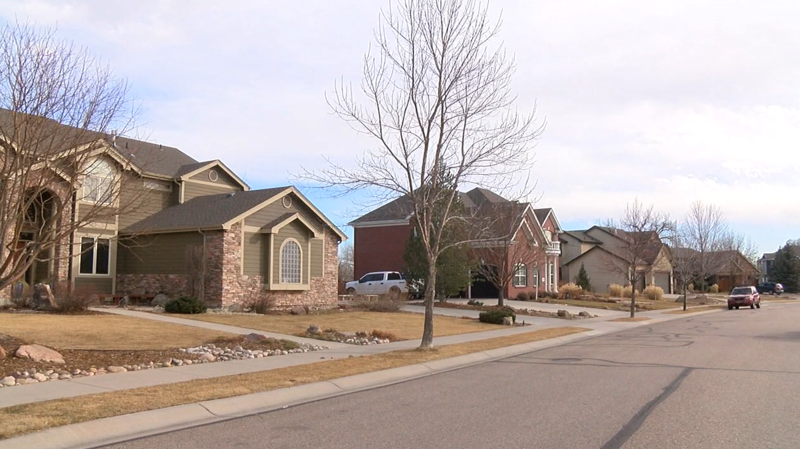 “Everybody who comes in this neighborhood, the very first thing they are going to see is a 100-foot tree,” said Fort Collins resident Todd Metcalf. Metcalf lives on Snowy Plover Court in the Fossil Lake Ranch neighborhood next to where a new 100 foot T-Mobile cell phone tower is going up. He is one of multiple people on his street who aren’t too pleased about the tower. “It’s the only thing we are going to see,” said Metcalf. “It’s literally going to be right here." Metcalf and his neighbors said they didn't know about the project until crews started work a few weeks ago. “It is the absolute closest spot to the homes that it could possibly be and it’s disappointing that we were not made aware of that,” said neighbor Scott Houldsworth. Because it is designed to be considered a "stealth" tower, camouflaged with antennas hidden by fake branches, Larimer County was not required to notify neighbors during the approval process. “That’s where we are definitely not happy with how the process took place,” said neighbor Christine Houldsworth. She believes there are points in the land use application that weren't met in the process or misrepresented. Christine is also worried about health concerns for her family and impacts to home values. “There is a fear,” said Christine.” Is this affecting the futures of our children? Is this affecting the future of who will buy our home if it comes to a time when we need to leave?" Denver7 covered the original need for more cell towers to meet the growing demand for service in Fort Collins in 2018. City Planner Clay Frickey told us there would be more cell towers in the future. Now the future is here and residents are hoping the county will give them a chance to voice their opinions about where this cell tower should ultimately go. “I think there is ample amount of time for all parties to meet and discuss the best path forward,” said neighbor Matt Townsend. Denver7 reached out to T-Mobile to see if there are any plans for changes with the tower’s location. We have not received a response from the company yet.